The SXSW PanelPicker is a two-step online process that allows the SXSW community to have a voice in what sessions are scheduled at the SXSW Interactive Festival. First launched in 2007, the PanelPicker allows the community to submit, review, comment and vote on the speaking proposals that they want to see become a part of the event. Don’t wait to cast your vote! The PanelPicker process culminates on Friday, September 5, 2014. It’s no longer about being an innovation hub or having a growing tech scene. Your city will either learn to iterate and rapidly change or it will deteriorate and die. These are the only two options. This is how we build business and grow our community. The good news is your city has the resources needed to adapt. You just need to implement a few basic concepts. We had hearts and dollar signs in our eyes when we first joined together as CEO and CTO. But the romance has worn off, and we did not get into this business to worry about feeling undervalued by each other. Exposure Every day, Emmy Award winning Digital Lifestyle Expert & TV host Mario Armstrong is bombarded with hundreds of pitches for apps, websites and gadgets hoping to get a shot at national television exposure. But you’d be surprised how many pitches are a complete mess – from grandiose press releases that read like a Russian novel to apps that are barely more than a twinkle in someone’s eye. If you want to have a snowball’s chance in getting on TV, you need the whole package: a stellar product, the right pitch, the right timing and the right follow-up. This panel will examine what works — and what doesn’t — from the perspective of the professionals that actually make it happen: a media personality, PR professional, TV producer & in-house communications director who has secured serious national TV coverage. This panel will help demystify the process of getting on national TV — so you can tell whether you’re ready for prime-time, and if not, what it’s going to take to get there. Our data has become one of the most valuable commodities in the world; which also places it at the nexus of rich debates around use, privacy, and application. Many will say, don’t track or collect my personal data, but find me the fastest route, find me if I’m lost, and personalize everything for me. As people, we can be a bit egocentric about our data, explicit with our opinions, and eccentric with our desired experiences of innovation. Collect and use my data the way I want you to, when I want you to, how and where I want you to. But, what is the impact and implication when those human values, emotions and desires shift? What responsibilities lie with the consumer, the developer, the enterprise, the technology, policy and society? Who defines real world value and applications? How do we navigate through the schizophrenia of conflicting needs, and the data that seems to lie at the center of it? This is a not to be missed discussion, or cage fight, that impacts everyone. With our connected culture, working remotely is easier and more common than ever before, but some are unable to make the leap from desk jockey to being independent and untethered. And many who do manage to make this happen suddenly feel like they are in a dead-end job, not knowing where to go from there. The answer for many is to ditch the idea of having a portable career and to focus on building a portable business instead. This session will serve as a primer for anyone who is toying with the idea of being unchained from the office, feeling out entrepreneurship, trying to grow their business, or moving their enterprise to a remote model. This session will offer up inspiration, tools, and strategies to make being a business owner who is untethered easier than ever. GO WEST they said. But they didn’t say how far to go. For many, the journey to San Francisco is considered the only real option to truly work in technology. But contrary to the echo chamber, San Francisco is not the only way to go if you are in technology. Let’s explore the realities, pros, and cons, of leaving San Francisco for Las Vegas. An economic review of the costs and implications of selecting and mapping both equivalencies and gaps between the Bay Area and Sin City is presented for anyone considering a fog free migration. There is an ancient African saying: “If you want to go fast, go alone. If you want to go far, bring friends” But with technology, you can do both. You can be the solo entrepreneur and digitally surround yourself with great people that will shortcut your path to success and take you further than you dreamed possible. In this panel you’ll learn proven technics for Extreme Efficiency and how to do more with less. Deven Nemer is a solo founder with a small team that is taking on the largest tech companies in the world – Microsoft, Google and Apple – in the web browser market. You will learn what works and more importantly, what doesn’t work in a highly efficient team. These concepts are applicable wether the members of your team work 5 hours per month or 50 hours per week. If you are in charge of anything important, you need to attend this session. In 2014, seeking to define methodologies incorporating additive and subtractive manufacturing into vehicular design and development, Local Motors, Inc. partnered with the US Dept. of Energy’s Oak Ridge National Laboratory and the Assn. For Manufacturing Technology to crowdsource and deliver the world’s first Direct Digital Manufactured (3D Printed) vehicle. This effort also included the engagement of Cincinnati Inc.’s Big Area Additive Manufacturing (BAAM) machine. The BAAM machine pioneers the use of large-scale 3D printing technology and is focused on packaging a complete digital manufacturing process in the first machine of its kind. The “Strati” prototype was first printed at the International Manufacturing Technology Show in Chicago, Illinois, Sept. 8-13, 2014. This car may well be the coolest vehicle on the planet, at least to those captivated by radical technologies. This session will present the challenges inherent to taking an emerging technology from theory to reality. This talk is inspired by this VERY popular guest blog post that we published in 2012. This two person talk is about how we’ve built an incredibly strong network of supports (friends) around our company/startup – wedgies.com. This talk addresses how to meet, interact, and stay friends with new contacts that can be helpful to your professionally. Why exchanging business cards is worse than Twitter handles. How to realize when someone is trying to help you and letting them do so. Why you should hang out with the people your with rather than going to find the people you think you should be with. And, most importantly, why making friends is more authentic, advantageous and better for you than making contacts. 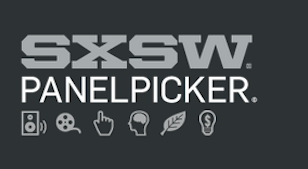 Pingback: Crowdsourcing and Community-Building: Vote on the SXSW PanelPicker!